Wonderful Pleasanton Meadows two story home. 5 bedrooms, 3 baths, plus bonus room. Lovely back yard and two car garage. Approximately 2095 sq. ft. home on a 6489 sq.ft. Lot The homes very comfortable floor plan has a Living room with high ceilings, mirrored Dining area, great Kitchen with lots of storage, inside Laundry area. Also on the main floor are the Master bedroom with private bathroom & walk-in closet. Two Bedrooms with second shared bathroom Upstairs is the fourth and fifth bedrooms with remodeled third private bathroom, Bonus room with cool free standing retro fire place. The lovely rear yard with covered patio with wide side yards and a storage shed, Two zone heating and cooling. This home is part of the Pleasanton Meadows Cabana Club with an annual HOA of $375. 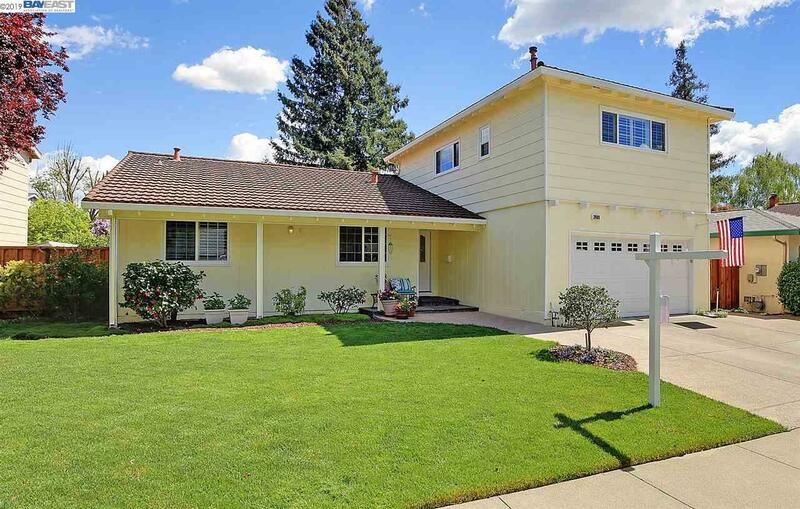 Easy access to the Pleasanton Meadows Park, Fairlands Elementary School, Hospital, nearby shopping, 580/680 freeways and BART.